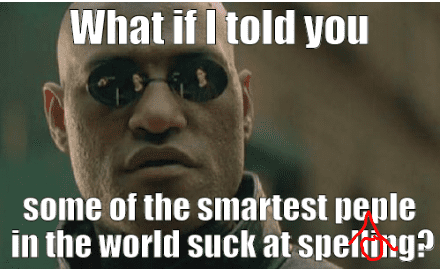 We think it probably took Morpheus a while to learn how to spell his own name. And that’s probably why he’s so understanding about correcting our spelling with this gentle little symbol meaning, Add Something Here. Watch and learn. 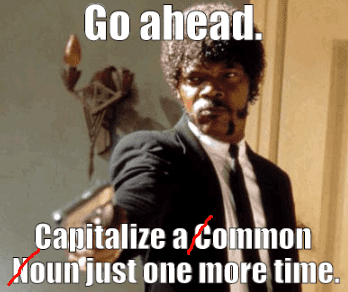 Now Jules here gets a bit tenser about his least favorite grammar mistake. But, considering this guy’s stress level, it kinda makes sense! And at least he’s giving us a chance by throwing down this fantastic and easy proofing symbol meaning, Make the Letter Lowercase. You might want to pay attention. You don’t want to get bat-slapped. Just ask Robin. Fortunately, Robin is a fast learner, and will soon realize that the handy dandy symbol in his meme means Take Something Out. 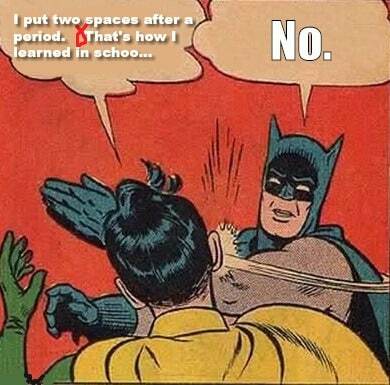 After seeing that enough times, our buddy Robin will never embarrass Batman again with such antiquated formatting. 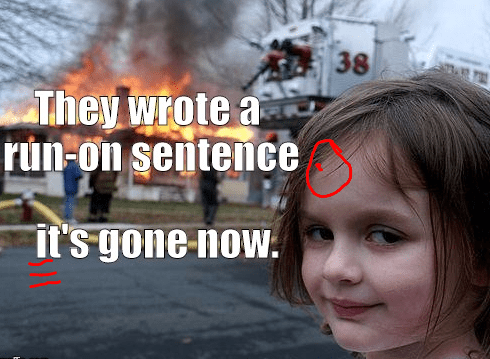 Disaster Girl always knows a disastrous copy error when she sees one. Plus, she’s so awesome at getting her point across, we enlisted her help to illustrate not one, but two, amazing and ultra-common proofreading symbols—Add a Period and Make the Letter Uppercase. See? Nobody needs to die. 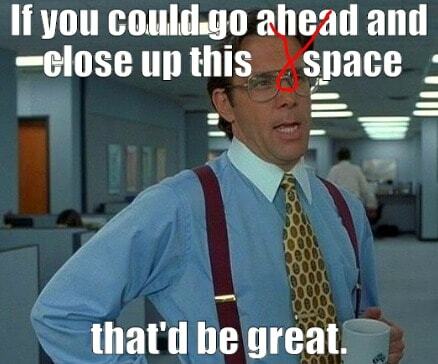 Bill totally knows that the symbol in his meme means Close Up That Obnoxious Damn Space. But his way of telling us to fix it is just so darn benevolent, we want to do it now and with a smile. 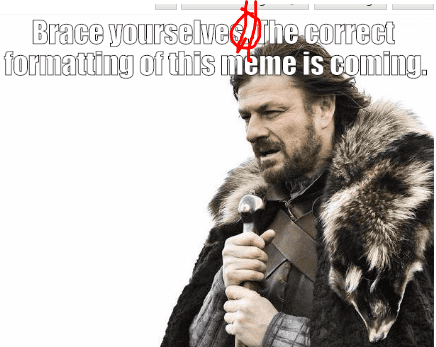 If anyone knows the correct formatting of a meme, it’s got to be Boromir. This Middle-Earth masterpiece of a man also knows the symbol in his meme means Drop Down a Line. What a stud. So there you have it. These magnificent little marks need no longer mystify you! If you think you’re ready to show off your new proofreading skills, why not demonstrate with a grammatically correct meme of your own? You can post it on the Echo-Factory Facebook page for a chance to win our most sincere love, adoration and approval!